So as most everyone knows by now, the Jon Olsson Invitational is being replaced this year by the Jon Olsson Super Sessions presented by Cross. Explain to everyone out there what this year's event is going to be all about. After last year I felt that my vision with JOI was accomplished, I had changed all the stuff I wanted with big air events and had taken it as far as I wanted or even further then I could ever hope for. So I decided it was the last event as I really wanted to make sure that everything I do is something new&nbsp;and&nbsp;fun. But then after the event I was looking at a bunch of photos from the past three&nbsp;years and realized that having all my boys in &Aring;re is way too much fun to quit, but I&nbsp;felt&nbsp;that I needed a new&nbsp;challenge&nbsp;and to keep pushing the limits, so after many hours of&nbsp;thinking&nbsp;back and forth I finally came up with JOSS. I took a look at the work we had done with a critical eye to try to see what the weaknesses of the events in the past had been, and I came up with two major ones. -Weather. The uncertainty of bringing 10, 000 people out to watch an event that so easily can run into weather problems. -Variety. How can we separate the best in the world? We can do all we want to try to set rules so that variety must be shown but when you have the 20 best guys throwing down it is still hard to say who is better then the other. So I thought long and hard and finally came up with Jon Olsson Super Sessions. The name Super Sessions actually came to me the first day of JOI last year when there was only a handful of the top guys (most athletes arrived late and missed the first day) in the world side-by-side throwing down insane stuff and just having the time of their life. 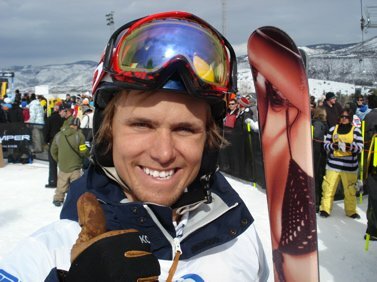 So I could not find a better word for that session than a true super session, and that is the feel that I wish to have in the 2008 Jon Olsson Super Sessions. When and where is it going down? &Aring;re, Sweden from the 26th of March to the 5th of April. Can you describe the 5 features that you'll be building for the event? Do you know which filmer and photographer each athlete has chosen? This year, you offered two additional spots via an online video competition. Explain the details as to how someone can score themselves a spot. One of the hardest things for me to figure out was who to invite for this event, it&rsquo;s not easy to pick the top e8 guys in the world, so I decided to keep 2 spots open for qualification. These can be won by sending in a 30-60 second video clip of the best skiing they have, and&nbsp;I will pick the top 2. I believe that there are a lot of great filmers out there that never get the chance to film the best and in that way get their material out there, but now you have the chance, the stuff you send in is only being judged how well it is filmed and put together, it will not matter if the skier you film cant ski that well. These can be won by sending in a 30-60 second videoclip of the best ski filming you have, and I will pick the top 2. Same with the photographer, they will be judged on their skill behind the camera, not on the skill of the rider in front of the camera. These spots can be won by sending in a slideshow with 10-20 shots and I will pick the top 2. So the 6 people that qualify through this will be paired up into two teams and get the chance to challenge the other teams and have the chance to win the&nbsp;20, 000 USD cheque. Deadline for this will be set to 14th of March and the winners will be announced on the 15th of March. We will not cover airfare to the event as I do not have unlimited budget but believe me I would if I could, but as soon as you get to &Ouml;stersund Airport you will be all taken care of VIP style. How will this new event differ from the JOI? 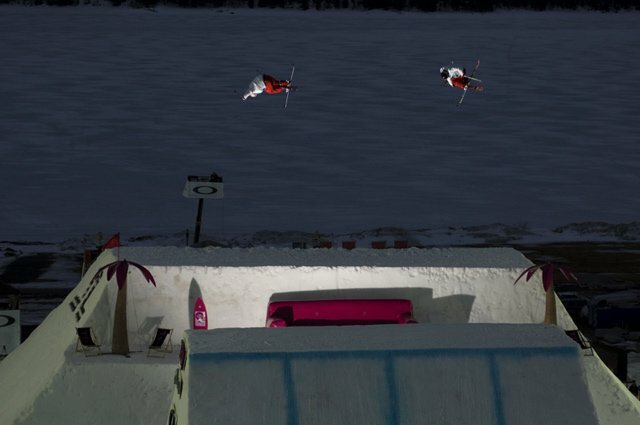 It will show the crowd major variety in features and tricks and I hope that the skiers will be able to compete under a stress-free environment, I want them to ski like it&rsquo;s a normal spring shoot but still be able to win 20,00 for doing it! Plus with the longer time frame I will have more time to really show what Are has to offer! What are your future plans for the JOI and JOSS events? All secret ;-) I had some really great meetings with the people in Monaco so that is my main focus right now. It&rsquo;s dragging a bit in time, but as I have said before, I would rather wait and do it right. Also, after the success of the North American Open, what are you plans for that event and for the possible World Tour you're thinking of planning? I can assure you that the judging was anything but rigged, me and Simon picked the best guys that we saw, besides Spriggs who got my first bib after seeing him kill it, my next 5 bibs went to people that I had no idea who they were. But yes I thought that it was a great&nbsp;success, the first year you do something it is always hard to get it 100% (it took me three years to get JOI right) but I learned a lot and now know how to make Open&nbsp;events even better. I was also super stoked to see the level of talent that is out there and with more events like this we can bring that talent out and help them make it to the next level! As for the world tour I am trying to puzzle it all together, it&rsquo;s a long&nbsp;journey&nbsp;before we have a tour but the sooner we start working on it the closer we will be. But as soon as things are happening you will hear about it, I am super stoked on this as I&nbsp;believe&nbsp;that it will take skiing to a new level! Joss talks about the last Olympics, his chances of making it to Pyeongchang and more. Dan talks about growing up in the Czech Republic, the sport that convinced him to take his skiing to the next level, how a dream trip to Japan turned into a nightmare and tells us what’s wrong with every ski-party these days.